I started this blog two years ago believing that woodworkers have a lot to gain from sharing information and ideas in this format. That belief has been reinforced, the readership has grown far beyond anything I anticipated, and there has been much gracious and encouraging feedback. This is not a farewell, just a juncture at which to say, “Thank you,” dear readers. Of course, you have a wealth of choices in the internet woodworking world, so I am very appreciative of the time you spend here in this little corner of it. I hope the Heartwood blog has advanced your woodworking and spurred your enjoyment of it. I will continue to present thoughtful, useful content. The topics arise from the sawdust and shavings of my shop, devoid of hype and armchair pretenses. The writing will continue to be largely technical though often laced with reflections and sentiments that accompany my woodworking. If you are even slightly inclined, do leave comments on the posts, please. Other readers and I would like to hear from you. I must continue to hold all comments for approval because even though the Akismet program filters out many thousands of spam comments, some do find their way through. So far I’ve posted about 45,000 words and 200 photographs, enough to fill a nonfiction book. This is a labor of love and I can only say that I hope to continue to be able to devote the time. For now, thanks for reading and happy woodworking! I was worried when I started reading this and then you said the words that this was NOT a good bye. It did kind of sound like that from the beginning. I very much enjoy reading your every blog post and do find you to be one of the best and most refreshing voices out here on the net. I recently did a post on my blog called “I am woodworking and so can you” as a kind of response to Chris Schwarz’s “call to blog” in the most recent pop wood magazine. I picked out six of my favorite blogs to read to share them with my readers and you were on that list. Looking forward to seeing lots more good and thoughtful content from you, please keep it up. glad to know you’re still going to be doing this – you scared me for a second. this is a good opportunity to thank YOU for your work here. your series on high end drawers was exceptionally helpful to me as I made my first drawers a few weeks ago. They came out a bit less high-end than yours, but much better than they would have been without your step-by-step insights. I’m toasting you with a cup of coffee. I hope you continue another two years. Thanks for all the content you post. It is appreciated. Thank you for your blog, the informaion as been realy valuable to me and I’m sure to others! Derek, Aaron, John, Dave, and David, thanks for the kind words. 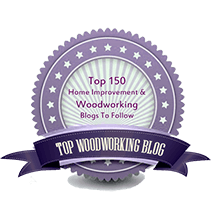 When I first became aware of online blogs about woodworking a year and a half ago I was fortunate to discover the Heartwood blog. Many is the time I’ve gone back through its archives. Some nice tools have come into my shop as a result of the well considered reviews. New techniques, as well. Rob, this is one of two must read blogs for me. I enjoy the thoughtful commentary on a wide range of subjects. You have clarified equipment purchases for someone who lives a long way a way and can never try before I buy. Keep it up mate, Ross. Thanks for making your experiences and knowledge available to us. The drawer series is where I got aquainted. Keep up the knowledge sharing and good work. I just discovered your blog and have marked it with a permanent bookmark. Wonderful information and very well presented. Living in Central Oregon I am very fortunate to be able to visit Lewis and Sara at Northwest Timber when a project call for very high quality wood. I am now in the process of reviewing all you past blog posts. Keep up the great work. It must be wonderful to see NWT’s treasure trove of wood in person!